Juvenile Idiopathic Arthritis (JIA) is a common chronic childhood illness associated with physical and emotional symptoms that can negatively impact health-related quality of life (HRQL). Adolescents are expected to assume greater responsibility in disease management as they mature. This can prevent worsening of the disease and symptoms, and facilitate the transition to adult health care. However, the vast majority of adolescents with JIA do not receive comprehensive self-management education. Internet-based interventions provide an innovative approach to improve the accessibility and acceptability of self-management programs for adolescents with chronic illnesses. A randomized control trial was conducted to determine the effectiveness of an Internet intervention, which consisted of education about JIA, self-management strategies, and social support. Participants were between 12-18 years old with JIA across 11 pediatric centers in Canada. Most teens participated with a parent/caregiver. Teens in the intervention reviewed 12 modules focused on disease education and self-management strategies. Teens in the control condition reviewed standard disease education modules without self-management material. As part of the 3-month program, teens had monthly telephone check-ins with health coaches, but only intervention participants reviewed modules with their coach. Parents in both groups reviewed modules focused on promoting independence and disease self-management in their teen. Teens and parents completed outcome measures at 4 time points: baseline, at program completion, 3-months, and 6-months after the program. The primary outcomes measured were: pain and HRQL. The secondary outcomes were: emotional symptoms, adherence, coping, knowledge, and self-efficacy. In total, 333 teens (n = 109 male, n = 224 female; mean age = 14.5, SD = 1.7) and 306 parents (n = 52 male, n = 254 female; 81.1% biological mothers) were enrolled. Of the 164 participants in the intervention group, 62.8% (n = 103) completed the study and 50.1% (n = 87) completed all modules and coach calls. Of the 169 control participants, 87.0% (n = 147) completed the study and 85.8% (n = 145) completed all modules and coach calls. On average, participants took 189.8 days (SD = 113.5) to complete the intervention and 123.6 days (SD = 70.6) days to complete the control program. Pauses in the program were allowed for exams, illness, and vacations. Preliminary analyses indicate a trend for increased self-efficacy (p = 0.026) for intervention teen participants and decreased (1) pain (p = 0.072), (2) pain interference with sleep (p = 0.064) and enjoying daily life (p = 0.004), and (3) daily interference in quality of life (p = 0.027), compared to the control. Parent quantitative analyses are ongoing. The majority of teens in the intervention found the coach calls helpful and were satisfied with the frequency of the calls. Most also found the website text content, the online videos, graphics/animations, and relaxation exercises helpful. Teens and parents enjoyed being part of the study and trends for some benefits in outcome measures were noted. The intervention website will be launched for public release in the coming months. Disclosure: J. N. Stinson, None; S. Campillo, None; T. Cellucci, None; P. Dancey, None; C. M. Duffy, None; J. Ellsworth, None; B. Feldman, None; A. Huber, None; N. Johnson, None; P. McGrath, None; A. Rosenberg, None; N. J. Shiff, None; L. R. Spiegel, None; S. M. L. Tse, None; L. Tucker, None; J. C. Victor, None; S. Luca, None. Stinson JN, Campillo S, Cellucci T, Dancey P, Duffy CM, Ellsworth J, Feldman B, Huber A, Johnson N, McGrath P, Rosenberg A, Shiff NJ, Spiegel LR, Tse SML, Tucker L, Victor JC, Luca S. An Internet-based Self-management Program for Adolescents with Juvenile Idiopathic Arthritis – A Randomized Controlled Trial [abstract]. Arthritis Rheumatol. 2017; 69 (suppl 4). 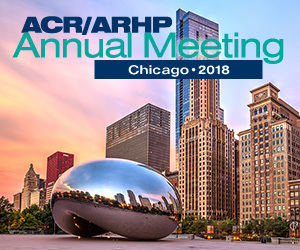 https://acrabstracts.org/abstract/an-internet-based-self-management-program-for-adolescents-with-juvenile-idiopathic-arthritis-a-randomized-controlled-trial/. Accessed April 18, 2019.